Your big meeting, party, or photo shoot is coming up, but you have a problem. Acne. Acne treatments can take anywhere from 4-6 weeks to clear your skin, but you don’t have that much time. Fortunately, there are some ways that you can get rid of acne fast. When acne shows up on your skin, the first thing you want to do is touch it. But that should be the one thing you never do! Popping pimples can lead to scarring, which lasts a lot longer than the initial problem. It’s easier for bacteria to enter the newly-opened wound too and squeezing the pimple only pushes bacteria further down into your skin. The more you touch, squeeze, or scratch your skin; the longer it will take to heal and for your problem to go away. If you want to get rid of acne fast, hands off! If you really need to get rid of acne fast, using a hot compress is a great method. Note: this method should only be used if the pimple has already broken the surface of your skin. Clean your skin with a quality face wash. Soak a washcloth in hot water and hold it to your zit for 20-30 minutes; re-soaking it as needed. The zit should look waterlogged now and be easier to pop. Wait! Okay yes, this method does involve touching your skin–like you shouldn’t–which is why this method should only be used as a last resort. When you squeeze the zit, be careful not to press down. 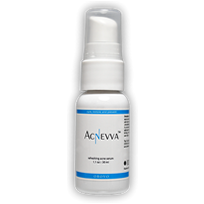 Apply some benzoyl peroxide or an acne treatment immediately after to kill any bacteria. Freezing is the fastest way to get rid of acne if the zit is still beneath your skin. Again, clean your skin with a face wash. Leave ice on the zit for 5-10 minutes. Then rub the area with benzoyl peroxide or an acne treatment. For best results, repeat this method every 6 hours. Add a good amount of salt into water. It should be very salty. Dip a cotton ball into the salt water and then wait for 30 seconds. Squeeze enough water out of the cotton ball so that it is still damp, but not dripping. Hold the cotton ball on your pimple for 3 minutes. When you remove the cotton ball, it will appear to be gone, but it’s just the top that has dissolved. Your acne is still there. Take two more cotton balls and place them on either side of the pimple. Gently squeeze the cotton balls together until the pimple is flattened. If you need a quick fix for acne, applying makeup is one of the best, non-aggravating techniques. First off, make sure to choose makeup that won’t make your acne worse. 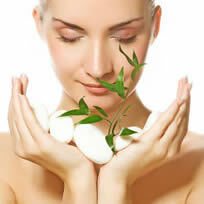 The products to avoid are those that are heavy, comedogenic, or oil-based. Your goal when applying makeup should be to conceal and distract. A green-tinted primer neutralizes redness. After the primer, apply a yellow-based concealer or foundation that is a shade or two lighter than your skin. You can draw attention away from acne by highlighting your best assets; for example, your eyes. Use mascara and eye liner. Curl your eyelashes. Use earthy, natural colors for your eye shadow. Keep your lip color neutral and use bronzer instead of blush on your cheeks. With these tips, you should be able to get rid of acne fast. 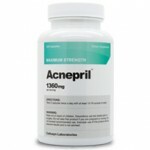 However, if you’re like most people, your acne is a persistent problem and it will keep coming back. If you haven’t already, you may want to try one of these best-selling acne treatments to get rid of acne for good.